Using a controller is recommended over keyboard and mouse controls. HOTAS support is limited to the T.Flight Hotas 4 and T.Flight Hotas One. Other HOTAS peripherals are not supported. The Launch Edition contains the base game and the F-4E Phantom II + 3 Skins DLC. The Deluxe Edition contains the base game, the Season Pass, and the 8 Popular Squadron Emblems DLC. The Deluxe Launch Edition contains the contents of the Launch Edition and the Deluxe Edition. Not available for standalone purchase in all regions. Borderless fullscreen is set to desktop resolution. Option available in fullscreen. Use Ace Combat 7 FOV Changer. FXAA ("Low" and "High"). SSAA available via "Scaling". See Anti-aliasing (AA) for TAA. Option available for no frame rate cap. TAA provides much better image stability and quality than FXAA and is cheap to use. Enable the in-game setting for FXAA. Add this at the bottom. Draw distance can be tweaked by adjusting the values of the r.ViewDistanceScale parameter. T.Flight Hotas One and T.Flight Hotas 4 only. BGM, sound effects, and voiceovers have individual volume levels. Subtitles are independent of audio language. Radio and cutscene subtitles can be enabled independently. Single-player missions pause on focus lost. Main menu and multiplayer do not. There is no native voice chat support. Online lobby browser with no indication of player skill. Menus exhibit extreme slowdowns when going from one menu to another. Unplugging USB audio devices such as DACs, headsets and microphones resolves the issue. Disabling them in the Sound control panel works too. Disabling the device's respective HID-compliant device in Device Manager may also solve the issue. ↑ 1.0 1.1 File/folder structure within this directory reflects the path(s) listed for Windows and/or Steam game data (use Wine regedit to access Windows registry paths). Games with Steam Cloud support may store data in ~/.steam/steam/userdata/<user-id>/502500/ in addition to or instead of this directory. The app ID (502500) may differ in some cases. Treat backslashes as forward slashes. See the glossary page for details. 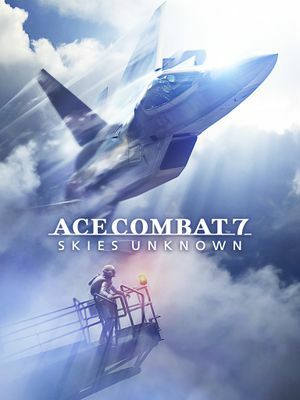 ↑ Bandai Namco Press Release: "Ace Combat 7: Skies Unknown Coming to Xbox One and PC"
↑ 5.0 5.1 5.2 5.3 5.4 5.5 Ace Combat 7: A Classic Returns With Stunning Visuals - Every Version Tested! This page was last edited on 5 March 2019, at 02:43.